Why Shop at Sea And Cycle? Our customers love showing off their bikes. Check out their motorcycle pictures. With a vast selection of over 150,000 items, free shipping options, and a low price guarantee; Sea and Cycle is the fastest growing website in the industry. Looking to upgrade or repair your ride? Whether it’s on land or water, Sea and Cycle has you covered; from motorcycle, ATV, UTV, and scooter parts and accessories to boat parts and accessories and all your personal water craft needs. Need to get that boat motor running? 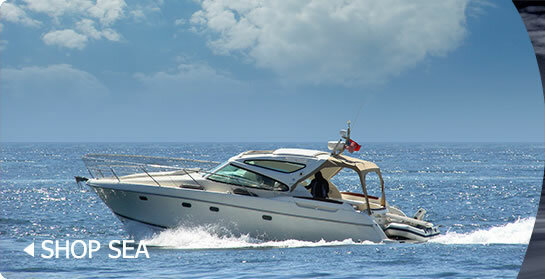 Search thousands of boat motor parts from Sierra and Mallory Marine with our easy parts finder. Browse Harley-Davidson motorcycle parts , motorcycle tires & rims, and all the parts and accessories for your motorcycle exhaust. Shop the latest gear for riding or casual apparel. 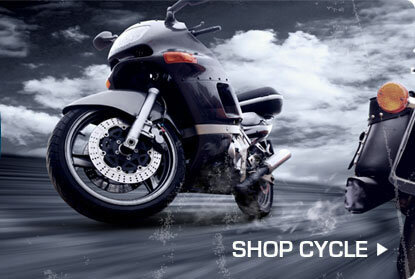 We carry motorcycle helmets, jackets, gloves, and boots. Want the latest in dirt bike and street fashion? We carry all the hottest brands; Answer, MSR, Rockstar, Metal Mulisha, Speed & Strength, and many more. Ready for a little fun in the sun? Sea and Cycle has everything you need to ensure you’re ready to hit the water. Shop thousands of watersports items; from kneeboards, wakeboards, inflatables/tubes, ski & tow ropes, to all of your boat safety equipment; including, life vests, ski jackets, and dog vests (hey, man’s best friend needs a life jacket too!). Just looking to kick back, relax, and do a little fishing? Well, we’ve got you covered there as well with a huge selection of fishing equipment. From upgrading your trolling motor, boat seats, downrigger, or fishing rod holder; to adding a state of the art Humminbird, or Lowrance-Eagle Fish Finder or GPS.